There are several ways that you can improve your home’s energy efficiency with services from Peter L. Brown. Getting better energy efficiency will not only save you money but will improve indoor air comfort and reduce drafts. 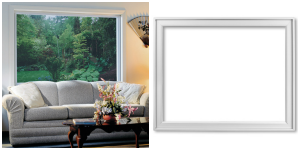 Vinyl window replacement Hartford CT is a great home improvement to get when you are looking to save money on energy. The windows are made from a durable vinyl application which makes them damage proof and least for years. The low maintenance windows are a great addition to any home, bringing in natural light, style and sophistication. 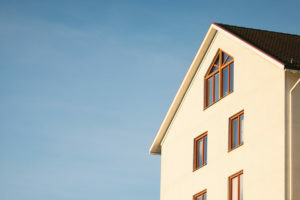 Insulation and ventilation applications are important because they help keep your home running at its peak efficiency. If your home is not properly ventilated, it can create condensation and can lead to a roof leak. If you have inadequate insulation, you can either have a mold buildup or holes in the insulation that allow for air to get through. Fix your insulation before it ends up becoming a more expensive problem! For CT home improvement contractors that can help with energy conservation, contact Peter L. Brown today. From new windows to new insulation, you can have low maintenance materials that create a better performing and energy efficient home. Consider using Peter L. Brown this summer for all of your home’s exterior needs. If you are in the Hartford county area and are looking to repair or replace your roof or windows, trust the professional roofers that have been helping the Hartford area to have beautiful exteriors, one home at a time. Whether you are looking to repair or replace your roof, Peter L. Brown can help your function to its capacity. 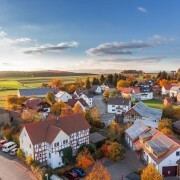 Many customers often overlook their roof, which is a big mistake. If your roof is not annually inspected, a minor roof issue can turn into a major one. Protect your home by protecting it’s first and most important line of defense – the roof. If your roof has leaks, it can turn into a larger issue if not addressed immediately, which will also cause a lot of damage and cost a lot of money. Address any issues with roofing Hartford CT right away to avoid any serious structural problems down the road. 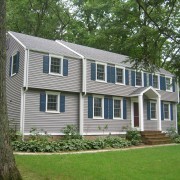 Our Mastic Vinyl siding windows are the perfect addition to any home as they are both beautiful and energy efficient. 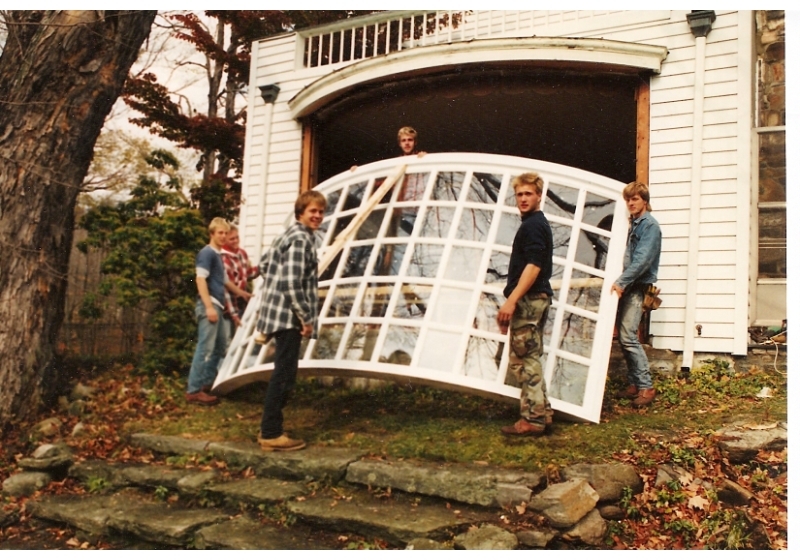 You can make dramatic changes to your exterior just by installing new windows for window replacement Hartford CT. 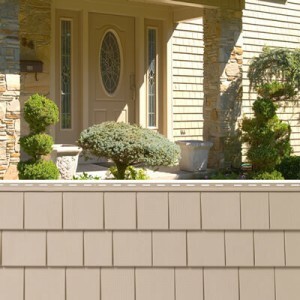 This will increase your home’s curb appeal with a vinyl material that is built to last. From traditional double hung windows to sliding windows – a quality window can change the look of your home, without having to spend a lot of money. If you are looking to add a modern upgrade to your home without remodeling your entire home – a great place to start is with your roof or your windows. These not only maximize curb appeal but are also items potential buyers look for to be upgraded. By just adding these two services from Peter L. Brown, you can benefit from better energy efficiency, a more modern look and even improved comfort. So contact Peter L. Brown today for quality services from the roofing and window specialists that homeowners can trust! With vinyl siding, you can can truly have it all, with customizable looks for a home that stands out in your neighborhood. There are many color and texture options, all at a reasonable price. You do not have to break the bank for great style. When compared to other siding choices, you can have reasonably-priced siding, without compromising a great look. You can easily visualize the look of your home with our mastic color options and styles. With many years of improvements to vinyl siding, it is now even more versatile. The amount of profiles, colors and textures will get you closer to achieving your dream home. Vinyl siding mocks many different expensive types of siding, including wood. It is difficult to tell the two apart, and with vinyl being inexpensive, why not give it a try? The durability of vinyl siding is what makes it a popular option for homeowners in the U.S. Vinyl siding will not degrade or rot over time, and it is resistant to moisture. It will last for years, so you do not have to worry about replacing as early as other materials. If you are looking for a low-maintenance option, than look no further. It is resistant to cracks, and also pests like termites. If you want the look of wood, but want to avoid problems with pests, than vinyl is your siding choice! Since it only needs a simple cleaning once a year, its great looks can be maintained without much effort. Finally, vinyl siding saves money on energy costs, preventing heat from escaping known as “thermal building.” With other sidings that have insulation inside wall studs, the studs lose heat. But, with vinyl, it creates a barrier over the studs that doesn’t lose heat in the winter, and keep a home cooler in the summer. So, if you are trying to find the perfect siding choice, don’t overlook the many benefits to vinyl siding. With the vast selection of styles and colors, to the durability and maintenance – free quality, why not try it today? Contact Peter L. Brown today to get your dream home! Is Vinyl Siding Right for You? With Vinyl being the most popular siding choice, it’s probably safe to say that you have considered installing vinyl siding. Many sidings, especially older sidings are subject to fading. Some of the old siding materials turned yellow and cracked in heat. They also had major issues with absorbing too much moisture inside the walls. Luckily, vast improvements over the years have been made in siding. What are the Improvements with Vinyl Siding? With Vinyl siding, you are getting a PVC material (polyvinyl chloride) that protects from sunlight, damage, discoloration and fading. It is a package deal, that comes with so many benefits – and not to mention – looks beautiful from the outside. Vinyl siding over the years has improved from looking like plastic, to many different texture and color options to compliment a home. Vinyl Siding comes in horizontal or vertical pieces, and are meant to mimic the look and feel of real wood. The vinyl panels come in smooth or textured, with many different design options to customize your home. Horizontal panels pair well with traditional style homes, while the vertical panels compliment more contemporary homes. Is Vinyl Siding for Everyone? It is constructed for long-term durability, allowing the material to stay vibrant for many years to come. It is also very low-maintenance, which only requires mild soap and water every so often to clean. As Vinyl Siding keeps improving year after year, its innovations are endless and make owning a home a lot easier to maintain. It’s resistant to moisture and mold, keeping your siding from rotting and decaying. It retains its color after being exposed to extreme elements, and has an impressive performance for a reasonable price. It is a nearly indestructible siding choice – which is why time after time – people choose vinyl siding. If you are interested in hearing more about vinyl siding, contact us today. 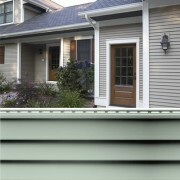 We would be glad to help you pic out the right color and texture of vinyl siding for your home. We can give you a free estimate, and show options specific to your taste. With years of experience in siding, Peter L. Brown is the contractor you can trust! https://www.peterlbrown.com/wp-content/uploads/2016/03/carvedwooddouble.jpg 400 400 plbadmin /wp-content/uploads/2015/05/logo-horiz-transparent-roofing-300x62.png plbadmin2017-02-07 16:52:022017-02-13 16:29:59Is Vinyl Siding Right for You? Being widely known for its high performance, vinyl siding is the top choice for homeowners and contractors throughout the U.S. In comparison to other siding products, vinyl siding beats them in price, quality, texture and attractive colors. Vinyl siding is an easy material to install and does not have to be intimidating. Vinyl siding is watertight, so when it is installed it has an appealing look. One of the benefits to vinyl siding is that you can remove a piece of siding anywhere. 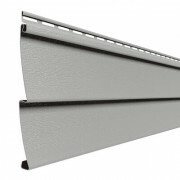 The long pieces of siding can be locked into place, making installation easy and low maintenance. Vinyl Siding comes in many different styles, textures and colors. Some of the vinyl is made to mimic the natural rough texture of wood – like Shake Vinyl Siding – saving you money from purchasing real wood siding. Other vinyl gives off the impression of having real shingles, with a cedar grain texture and random gaps. Mimic your favorite siding material by keeping the same quality while skipping the high price! There are many different panels that vinyl siding comes in. Some of the panels are vertical, triple, double, double dutch lap and single panels. With different textures and shapes, these panels add interest to the exterior of your home. Many colors from other siding choices tend to fade in sunlight. 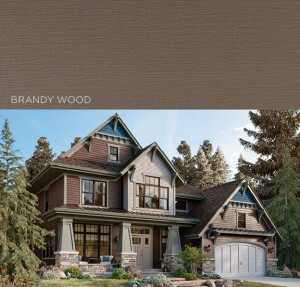 Dark colors, although a popular siding choice, fade in direct sunlight with other siding choices. Our vinyl siding has a mastic solar defense technology than will keep your siding looking brand new. Another great aspect to vinyl siding is that is does not require a single coating of paint. Most other siding materials need some kind of paint or heavy duty maintenance every few years, but vinyl siding is unlike any other. The color will never fade or peel, and maintenance only requires mild soap and water occasionally. So if you want a siding with an attractive look at a fair price – contact us today. 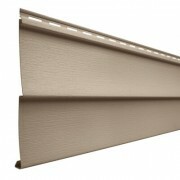 The low maintenance siding lasts without stains or painting, and with tons of colors the possibilities are endless. When is comes to siding, it’s hard to combine style with quality. From quality workmanship to custom styles. Our siding has quality workmanship that requires low maintenance, hence our motto “Do it right the first time and you wont have to do it again.” To add the perfect touch to your roof, look no further than vinyl siding as an option for your home. https://www.peterlbrown.com/wp-content/uploads/2016/03/double52.jpg 400 400 plbadmin /wp-content/uploads/2015/05/logo-horiz-transparent-roofing-300x62.png plbadmin2017-01-25 16:03:412017-01-30 19:57:56Why Purchase Vinyl Siding? Vinyl siding is not only a beautiful choice in siding, but it is also one of the most popular choices, according to the U.S. Census Bureau. More than 33 percent of homes in 2012 were constructed with vinyl siding, partly due to the many advances in siding technology. Vinyl siding, when compared to other siding choices, differs because of its strength and ability to resists various elements including extreme heat, cold, and wind. It can withstand up to 200 mph of wind, even conditions like Superstorm Sandy. It’s lifetime warranty provides keeps customers at ease knowing this product has confirmed longevity. Vinyl Siding does not take a lot of effort to maintain, making it a sought after product. It does not need to be painted, but it needs to be cleaned once a year with mild soap and water. It also has special properties that allow it to resist rotting, damage and cracking. Affordability is one of the many great benefits that vinyl siding offers. It is one of the top home improvement projects to replace siding for vinyl siding, that will recoup costs for resale. It is also the least expensive material to use for siding, also having the lowest cost compared to other siding options like wood. If you are wondering whether vinyl siding is right for your house, check out this tool by Ply Gem that will show you what your house will look like with different types of siding. If you are interested in finding more about vinyl siding, contact us today. We can provide you with a free estimate to decide if vinyl siding is right for you! 1. Air Leaks – If there are any air leaks in your home be sure to cover them up before the cold air gets through. Leaks are what causes more than one third of energy use. Be sure to look carefully at walls, outlets, ceilings, windows, doors, vents, etc. Even the most minescule hole in the wall can cost you a lot of money. 2. 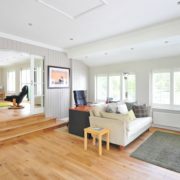 Finish the Basement and Attic – Without insulation in the basement or the attic, a large amount of energy will be lost. The best time to finish one of these areas is before the winter, and before overspending to heat a house with inadequate insulation in the winter. 3. Repair/ Replace Your Roof – Your roof needs to be strong enough for the upcoming winter storms. If it is not stable to handle ice damming and snow piling on top, then it is time to get a roof consultation. Your roof is your home’s primary barrier against element’s, so when it is compromised, a lot of damage can be done. 4. Repair loose Shingles – Impending snow storms can further deteriorate shingles, and damage them to the point of no repair. It is easier to repair a few shingles than to re-do the whole roof. 5. Window Repair or Energy Efficient Window Treatments – Windows are an important part of saving energy during the harsh winter months. Ensuring your windows are designed specifically for winter, and using cellular shades is a way to save on energy. One little open space in your windows can cost you a lot of money in extra heating that could have been preserved with newer windows. 6. 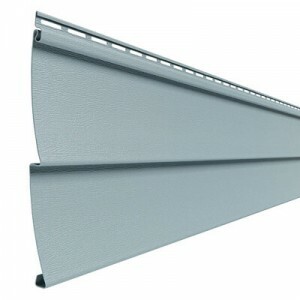 Clean out and Repair Gutters – Cleanout & Repair Gutters – Cleaning gutters is important because you do not want them to get clogged when the snow falls. You want the gutters to be able to filter out water and snow seamlessly. After cleaning out the gutters, you should be able to see if there are any dings or cracks in the gutter. If there are a lot of these, if can hinder the flow of the water. We would gladly be willing to evaluate your gutters, and repair or replace them if needed. 7. Exterior Fixes – – Finding where cracks on the outside of your home where cold air can seep through, is a good way to determine if you need to repair your siding. Raking leaves from your yard will prevent ice dams. Clearing out leaves from your gutters will leave them open, and prevent pests like ants. A leaking gutter can leak water into the walls and rot the wood. Another wise home improvement is to fill in cracks on the driveways and sidewalks before the ice fills them in. . When focusing on increasing the curb appeal of your home, realtors will often tell you that brand new appliances or a new kitchen are the best options. While this may be true for the interior of your home, the exterior has a lot of potential for increasing your home’s value. The exterior of your home is the first thing people will look at when searching for homes, so make sure it is in good condition. If the people trying to buy a house do not like the exterior of a home, then what incentive do they have to go further and look into the interior of the home. The interior can be extravagant, with state-of-the-art appliances, but with a lacking exterior, your home’s value will go down. Taking care of one’s lawn is not everybody’s forte, and that’s okay. Attempting to put a little extra effort into the yard with flowers in the spring, or shrubs and trees in the fall, will spruce up the look of your home from the outside. If you would like a professional opinion, go to your local home improvement store to ask about different costs of plants, and what will thrive best with the type of soil you have. You may also want to look into landscaping services to have your front lawn professionally done. The front door is an important door to start with since it is front facing to the view of the home buyer. A brand new door often appeals to customers, and an old, worn-down door would turn customers off from entering the home. Shutters that are broken can make the house look cheap from the outside. A brand new door or new shutters will appeal to customers, who will potentially be interested in your home! Old windows can turn off potential customers right away. Starting off with brand new front windows, will not only give your home a clean finish, but will also creative an attractive curb appeal to the home. Shutters that frame the windows will give your home a finished look from the exterior view. Adding a finishing touch of a flower box will add just enough curb appeal for the potential customers to want to see more on the inside!